Reminiscing our third day in Bagan, we spent the day together with 2 fellows backpackers from Israel. Funny about how we met, actually. 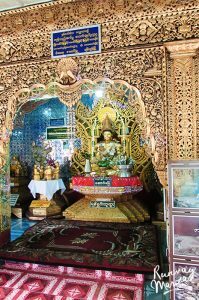 We met accidentally on the van from Mandalay to Bagan on our first day, we chatted a bit and they said they were planning to take a visit to Mount Popa. To be honest, we both didn’t know anything about this particular place. 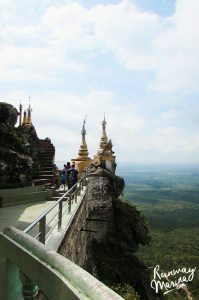 They said it was the Mount Olympus of Burma and had an amazing view from the top of it. After checked out the Lonely Planet book that my best friend gave to me, we were tempted bu how they perfectly described that mountain. And so we agreed to share a taxi together with them the day after tomorrow with those guys. 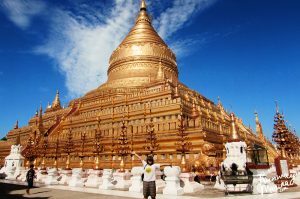 All of us were planning to explore the Old Bagan first and by the way, our time exploring Old Bagan pagodas were superb! 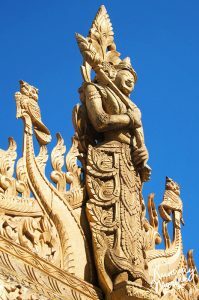 Thousands of temples as far as the eyes can see. So of course, we got more excited with what might come to our next day! We were lucky to have those guys helped out finding a rented car with a driver to take us to Mount Popa. Another nice surprise when the driver stopped by to a tamarind workshop somewhere along the road to show us about what their speciality around Bagan. 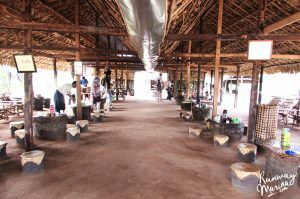 What was interesting is that the place was an open air, filled with traditional equipment and everything is handmade. 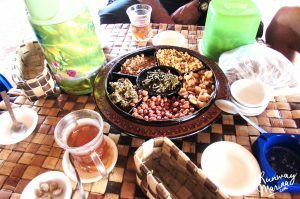 They showed us on how they made the tamarind candies and even let us have some taste on Burmese delicacies with a nice warm tea. It was weird yet tasteful for us. 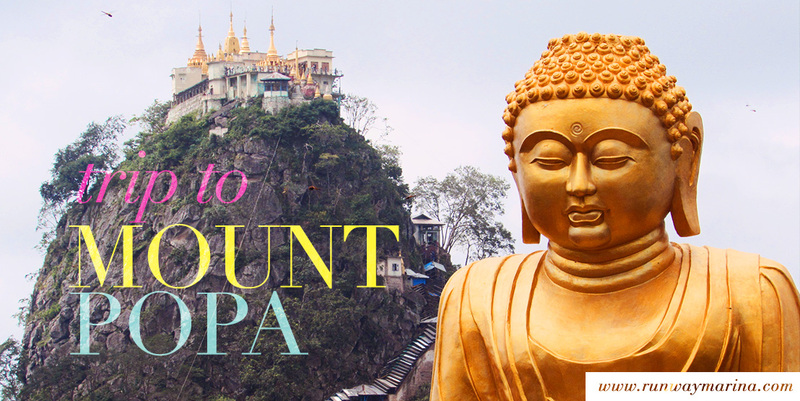 Before we go further, it is best that you know some of these amazing facts about Mount Popa. 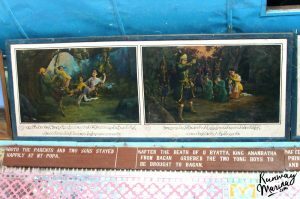 Mount Popa is one of the famous Nat (meaning ‘Spirit’ in Burmese) worshipping place along with Taung Kalat monastery on top of the mountain. 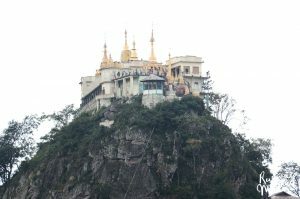 It is said that Burmese people at least come to pray and visit mount Popa once a year. 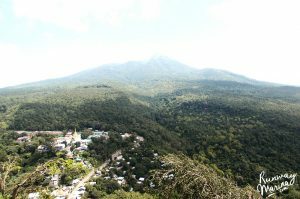 The most amazing fact that it’s a volcano mountain with 1518 metres high with numerous Nat temples, relic sites, pagoda and beautiful view from above. 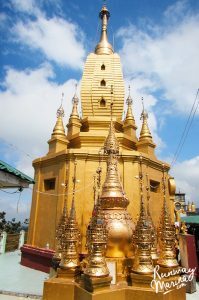 “Popa” itself means “flower” based on Pali language and it is considered as the Mount Olympus of the Burmese (You totally will understand when you see the pic below!). 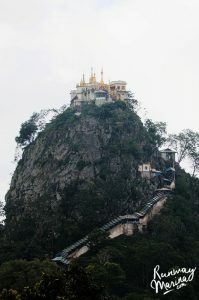 It is also believed that Mount Popa is the strongest and most powerful Nat throughout the country. Even thinking about that made me squabble. 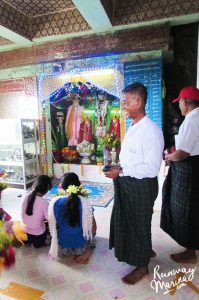 Cos we were there physically; Witnessing the greatest worshipping place for the Burmese. 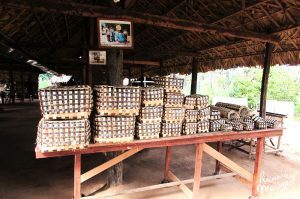 And another surprising fact is that not many tourists, we felt like we were travelling like local so much here! 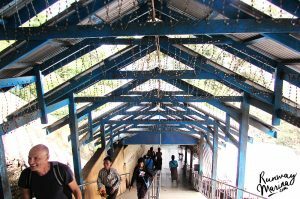 Climbing thousands of stairs to reach the top! 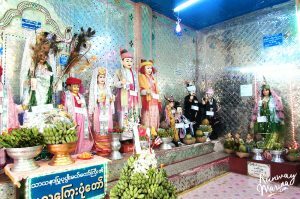 We stopped by a couple of times to see some of the Nat temples and observed the locals. 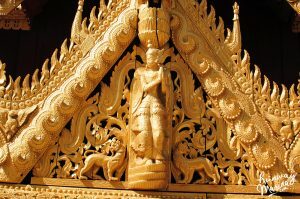 It was an amusing feeling to be surrounded by so many Burmese, and yet we enjoyed and awed on how amazing this place was! And so.. after so many “Wow” along the stairs, we finally reached the top it after 1 hour of climbing. 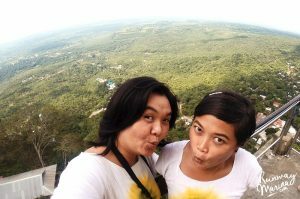 Despite having my leg cramped and sweats down to my shirt, we were so happy having the wind breeze into our face. You can guess that the view was such an exquisite priceless memories! Feels like Mount Fuji, right? We have to take wefie of course! 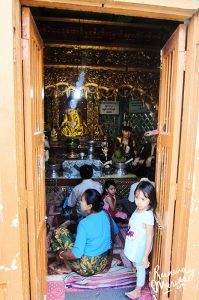 We ended that day in Mount Popa by trying another Burmese food along the way. 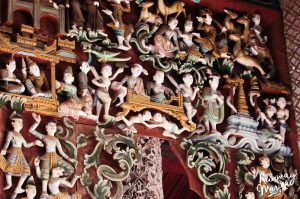 Sadly I couldn’t take any pictures cos there so many monkeys around (That reminds me of Ubud so much! ), and it was a bit dangerous to take out bright shiny things. 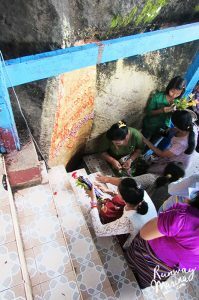 We loved spending time here as the locals were nice, and even thought they couldn’t speak English, they were eager to communicate with us! 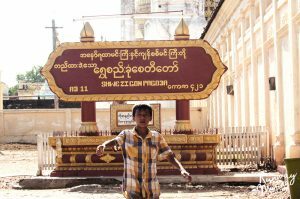 After we get back to Bagan city, we decided to explore a little bit of the city. 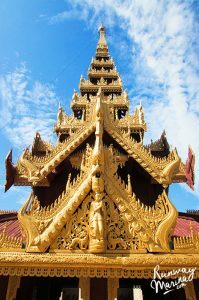 We dropped ourselves to a famous modern pagoda in Bagan that was said to be the prototype of the largest pagoda in Yangon, Shwedagon pagoda (The name also similar!). 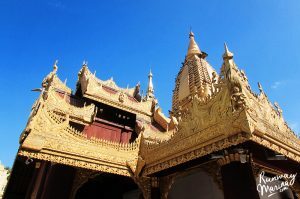 As we haven’t been to Yangon yet, we were quite stunned with how beautiful the pagoda was! 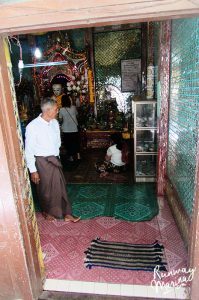 But then the guys told us that the Shwedagon pagoda is so much better and larger than this. 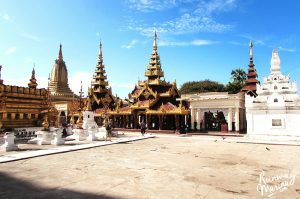 Of course, that made us totally eager to visit Yangon faster! 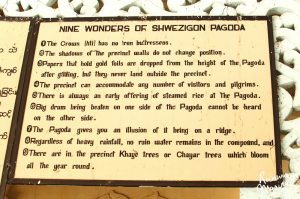 Meanwhile, I’ll show you how amazingthe Shwezigon Pagoda was here below. 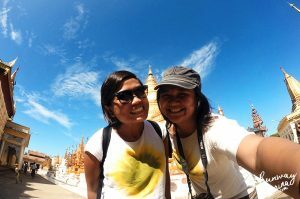 So we closed up our visit at Bagan that day and get ready for the next journey of Inle Lake! 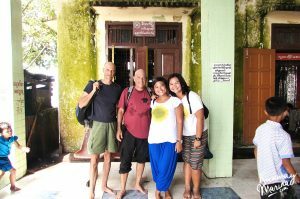 We had such an unforgettable memories here in Bagan and we were glad that we bumped out to these 2 gentlemen. 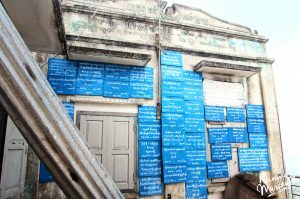 Our trip to Mount Popa couldn’t happen if it weren’t for them! 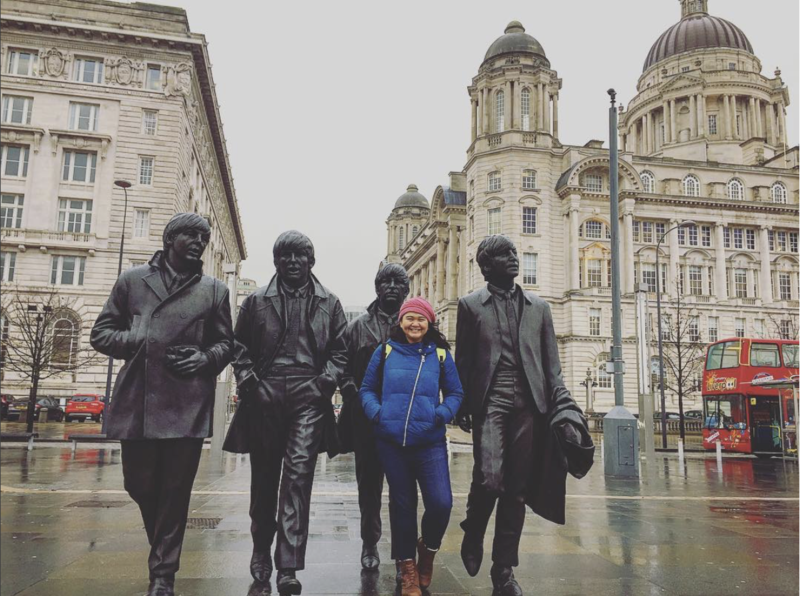 Having good travel buddies surely made our journey more relaxing, easy and fun. We couldn’t believe that we got up there! 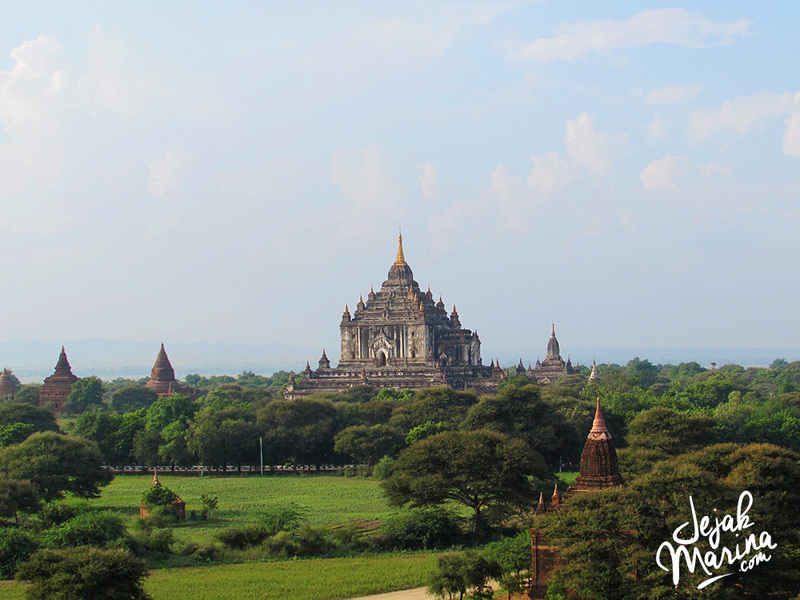 Now, have you been to Mount Popa yet? 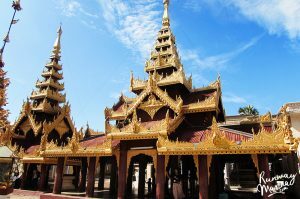 Myanmar seems a very nice place. Great pictures! You should! Thanks for reading! Very cool! 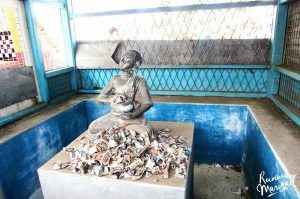 Its nice to read about an part of Myanmar that isn’t over run with tourism…I hadn’t heard about this before, but it’s going on the bucket list! What a beautiful place! Your pictures are stunning! 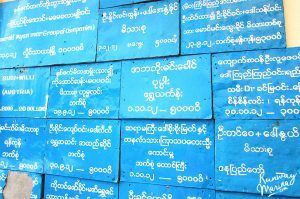 Thanks for telling about Myanmar. This is an absolute beautiful destination! Love the pics!